January’s Member on Fire is Janet Shirley! 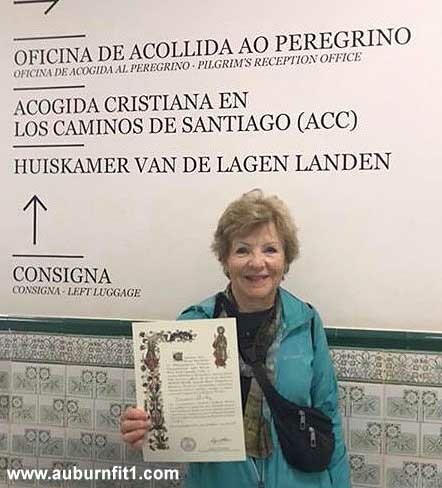 Get to know January’s #Auburn #Fit1 Member on Fire – Janet Shirley, who walked the 500 mile Camino Santiago & is an inspiration to us all! Next Next post: View the Video of January’s Exercise to Notice on YouTube!